By all means inspect my friend inspect! Now that your offer to purchase real estate is a contract, you’re probably thinking about how much all this is going to cost. I know you’ve sacrificed and saved for the last few years just waiting for this day to come, and now the time has come for you to start signing all those checks. First it’s the deposit money, and then it’s all those upfront mortgage company fees. The real kicker will be that truth in lending statement which gives you a good faith estimate towards all of your closing costs. It’s all coming together and time is of the essence, it doesn’t matter what kind of contract you signed whether it’s for a short sale, foreclosure or seller owned property, even an “as is contract” gives you the opportunity to have a home inspection within a certain number of days. My advice is to take advantage of this opportunity, especially if it’s an existing home; a home inspection is well worth the money you’re going to spend. For a reasonable fee you can have everything inspected, the roof, attic, plumbing, electric, mold issues and all appliances. In the long run this important step in purchasing real estate can save you thousands of dollars. Now is not the time to save a few dollars, it’s time to spend wisely and know exactly what you’re buying so you won’t be unhappily surprised in a month or two after closing. If your inspector finds something majorly wrong with house you can renegotiate the contract purchase price, back out of the contract all together or even just decide to deal with the problem yourself after the closing. As you can see the options are very advantageous to you since you are now a savvy informed buyer. A good home inspection company will be able to provide the WDO (Wood Destroying Organism also known as a termite inspection) report during the same time as your home inspection. A home purchase is a big investment, know what you are buying and believe me you will be glad you spent the money on that all important home inspection. This is a great time to for home ownership! Rates haven’t been this low in many years and now may be the most affordable time to buy that condominium you’ve been thinking about. It’s time to do that pro’s & con’s list, let’s begin with the most common types of condo’s, apartment like with single floor living or a town home/carriage type lifestyle. Do you like ground floor living or do you want to be on a higher floor, does the condo have steps or an elevator, do you need a garage, some will have garages and some won’t. Let’s not forget the view, will you look onto the parking lot, another building, be on the water or look onto a preserve. Do you prefer more specious living, if so then a townhome situation with more than one floor might better suit your needs? Condo living has numerous advantages for today’s active life style, there’s no need to worry about lawn care and landscaping, most communities will have a pool, some communities will have hot tubs, play grounds, walking trails, tennis and or golfing, and most will have super fitness centers and a clubhouse where neighbors gather. The common areas will be clean and neat, insurance on the outside of your unit will be taken care of by the association and your quality of life will become carefree and fun. A guarded gated community can provide you and your family with the increased security you desire. If you like to travel, just lock your doors and go! The amenities provided by an association are valuable considerations that will save you money in the long run. Yes you have to pay a monthly, quarterly or yearly fee to the homeowners association, but consider how much it would cost having to purchase and maintain a pool, pay a lawn service or a yearly gym membership. Some condominium communities may even provide water, sewer, cable and or internet service. Speaking of fees, you can expect that sometime in the future you will be assessed a fee to cover a variety of things like new roofs or maintenance and repair work. Some assessments can be extremely high and unexpected. Also you need to find out if there are any past due assessments which you could be responsible for that the previous owner neglected to pay. Unpaid assessments will be recorded as a lean on your home, second only to the mortgage, and will include legal fees, interest and late fees. As the buyer you are may be responsible for past due assessments and will have to recover the loss yourself from the previous owner forcing you to hire legal counsel. This is only one good example of why you should always use a Realtor when buying a condo, the purchase agreement will address unpaid assessments, and your Realtor can insist in writing that the seller pay all past due assessments at or before closing. When you choose the condo and are ready to sign a purchase agreement you will have three days to read and accept the “Declaration of the Condominium,” commonly referred to as Condo Docs, also the rules and regulations, frequently asked questions, budget, and the articles of incorporation. If the unit you’re considering is brand new and you’re buying from the builder you will have fifteen days to read and accept the condo docs. If you don’t accept the declaration or just change your mind your purchase agreement will be null and void. Many buyers will not even take the time to read these documents because they may be five hundred pages or more. Please read these documents carefully because when you buy a condo you agree to abide by and accept the rules and regulations governing you and your unit. These docs will address the voting and bylaws, issues that will affect how you use and live in your condo. There may be a no pet clause or a weight limit and even breed limit on dogs. For example many associations will not allow pit bulls, rottweilers or chows, just a few of the breeds that may be on the no-no list. The number of pets allowed may also be limited, cats may not be able to wonder freely outside and some will even exclude rodent type pets like rabbits and ferrets. The rules will address renting, whether or not you can rent your unit and the allowable minimum lease requirements, and the pet rules may be different for renters then for you the owner. There could be restrictions on guests, friends and family members using the unit. Parking issues will also be addressed; can you have a motorcycle or scooter, golf cart or pick-up truck, work vehicle, and how many spaces are assigned to you and your guests? On and on it goes, so it’s up to you the buyer to educate yourself on exactly what your homeowners association will expect from you and it will also spell out what you can expect from them. You don’t have to wait until you sign a purchase agreement to have a look at condominium documents, your Realtor can discover and provide you with all the documents you may need well in advance. An educated buyer is a happy buyer and it’s a Realtors job to make sure you have all the tools you need before you sign on the dotted line. For more information on Condominiums, please don’t hesitate to call or email me. 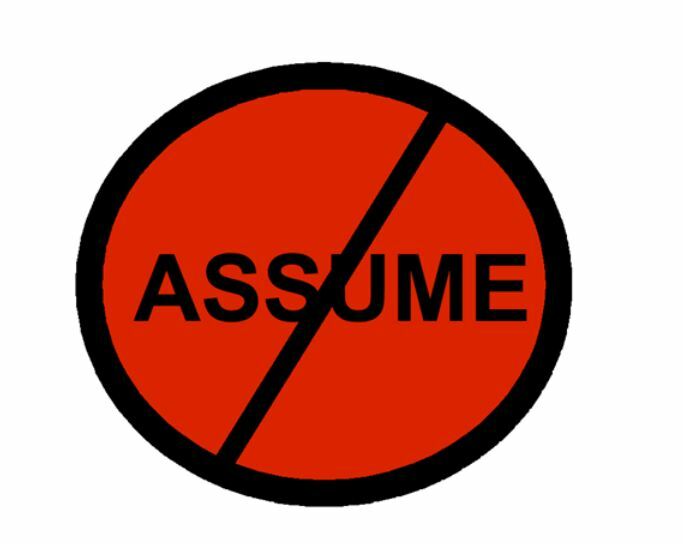 We all have words we like to live by, and mine would be “Never Ever Assume”. I truly believe this is the one major rule that dominates in life as well as in business. In life we shouldn’t confuse assumption with knowledge, we just don’t know what the future will hold and only hard work will bring us closer to achieving our goals. People may assume that they know what an individual is thinking or what they will do, and that my friend will only lead to disappointment, folks will surprise you when you least expect. In my business, Real Estate, a real no-no is assumption, never assume your buyer can or cannot qualify for a loan or whether they are a cash buyer or not. It’s not a matter of trust it’s a matter of confirmation and qualification, a procedure that will accurately serve you and your customer. How many times during the day when we’re people watching do we wonder how rich or poor a person is just by the clothes they wear or by the car they drive. The man in the worn jeans and the ripped tee shirt driving that old ford may be so much more financially secure then the well-dressed smiling man driving that BMW. More often than not our reasoning is not only wrong, but way off base. As a Realtor we can never assume a Seller’s reason for putting a house on the market, and we should not pass unfounded or unconfirmed assumptions on to the buyer. A seller has a house for sale because he wants to sell that house, it’s that simple. If you’re asked a question that you can’t answer, be honest and admit you don’t know the answer, and then immediately follow through with a promise to find the answer, and then do just that. If you’re attending an inspection on a house for a buyer never speak for the buyer unless you are specifically instructed to do so by the buyer on a specific issue. If you’re not sure call or visit the buyer but don’t assume you know what the buyer will or will not accept. People often change their minds and just because they said one thing yesterday does not mean it’s written in stone today. It’s important always to be clear when giving an opinion so it will not be perceived as fact. What are some of your favorite clichés? Are you trying to sell a property that is tenant occupied? Some tenants will be very cooperative with their landlords when the property they’re renting is for sale, but a lot of tenants will be extremely difficult, after all your property is their home. For example some tenants won’t keep the place tidy or they won’t answer the phone when the listing agent calls to arrange a showing and if they reluctantly answer and say it’s not a good time, you just might lose that buyer. 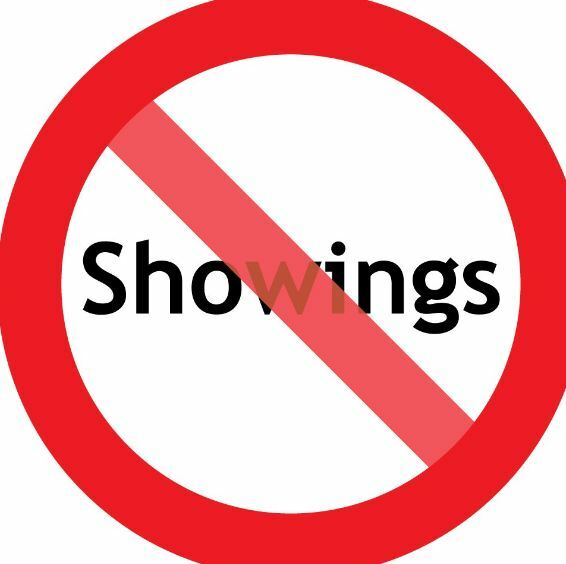 Tenants may not leave the premises when there’s a showing, and that’s always so darn awkward for the buyer, the buyer will feel like they’re invading the renters privacy and will not take the time to look at the home the way they should, they won’t turn faucets on and off, flush the toilet, open closets, cabinets and or garage doors. In and out they go off to the next property, and yours sits on the market. As an owner you should let your tenants know in advance that you’re going to sell your property, give them the first opportunity to purchase the home. If they can’t or don’t want to purchase the property then discuss with them how the property should be shown, listen to their objections and concerns and decide if putting your property up for sale while it’s tenant occupied is the right choice. If you sense they are going to be difficult and that showing the property is going to be a problem then offer to buy your tenants out of their lease, pay their moving expenses if you think that will help, do whatever it takes to make your property available to qualified buyers. Believe me if you don’t consider how you’re tenants feel about your selling and showing their home it’s going to cost you a lot of money in the long run. 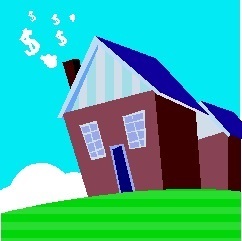 As a seller you’re losing money for every month that property sits on the market. You’ll have to reduce your price and after time the buyers will be asking what’s wrong with this property, why isn’t it selling, why so many price reductions. If you decide to sell while tenant occupied then your Listing Realtor should contact the tenants, ask how much advance notice they need for showings, talk with them about the importance of leaving the home while it’s being shown and hope they will oblige. You might answer that question with a yes but are you doing everything possible to insure your House sells. First and foremost price your house to sell, be competitive. Notice I’m not calling it a home because it’s a House for Sale; it will become a home again once the buyers settle in and make it their home. That’s what you’re selling after all, Home Ownership! The best way to get a sale is to hire a Realtor, by hiring a professional you can be assured that every buyer who comes through that front door is qualified and ready to purchase. Marketing your house as a For Sale by Owner may sound like a good idea in the beginning, but in today’s society is it really smart to let in anyone who rings your bell or call’s you on the telephone, no my friend it’s not smart and it sure isn’t safe. Once you hire a listing agent, take their advice, after all you’re paying for their service, so give them the benefit of the doubt. It’s best to have your house on a lock-box so it can be shown easily. Keep your house neat all the time. If you’re home when an agent comes to the door with a buyer make yourself scarce, the best thing to do is leave, take a walk or a drive, but by all means get out of the house. If for some reason you are unable to leave the house then confine yourself to one room and stay there. When a buyer comes into your living room it’s important that he can see that room as his living room! Put away the family pictures, get rid of the knickknacks, and clean out the closets, make everything look bigger, bright and clean. Your wishes will be respected, if you insist on being there for every showing then understand you are putting the buyer in an awkward position, you’re making him feel like he’s invading your privacy. Chances are the buyer will walk away from your house and buy the next one where he was more comfortable and relaxed enough to turn the faucets on and off, flush the toilet and look in the closets. I’m not saying your house won’t sell if you insist on being there but it will take a lot longer. And the longer it sits on the market the less money you’ll get in the long run. 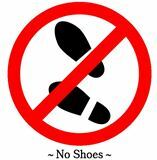 As the owner if you’re going to make unreasonable requests of the buyers like removing their shoes, then your Listing Agent should be aware of this and let the buyer’s agent know beforehand. There’s nothing worse than knocking on the door to show a property and the owner tells the buyer’s agent and the buyers to take their shoes off, it’s bad enough that the buyer is going to be followed around by the owner in the first place. And taking off their shoes is very intimidating to the buyer, it puts them in a subordinate position and most people won’t spend their money when they don’t feel in control. You also have to consider that the buyer may have an age or disability issue and can’t take their shoes on and off from a standing position. So what happens now: the buyers refuse to take off their shoes and they walk away, they don’t see or buy your property, the buyer’s agent, by not being forewarned is embarrassed in front of the buyer and will be reluctant to show that property again, and you the Seller, have just LOST A SALE! Putting your house on the market will inconvenience you the Seller, the objective during the sale process is to make the showings as convenient as possible for the buyer! If you’re like me you would never consider moving anywhere where you couldn’t have your pet. If you’re going to purchasing a Condo, Townhouse or a Home that’s organized by a homeowners association, it’s imperative that you read and understand the Rules and Regulations. Some associations do not allow pets at all, and many will have weight and breed restrictions for dogs. Weight restriction on dogs will vary; I’ve seen places where you can’t have a dog over 15 pounds and units where the weight limit is as high as 50 pounds. Specific breeds may also be excluded, including but not limited to, Pit Bulls, Rottweiler’s and Chows. In almost every case where pets are allowed there are restrictions on the number of pets permitted. Most associations insist that cats remain indoors if not on a leash, most of the cats I know don’t like being on a leash, but I’ve seen it done. I showed a condo the other day that excludes snakes and other reptiles entirely. Even a rabbit, guinea pig, hamsters and mice may be excluded in the rules and regulations, so find our first before you sign on the dotted line. If you’re considering renting instead of buying it may be a little harder to find a place that will allow you to have a pet. 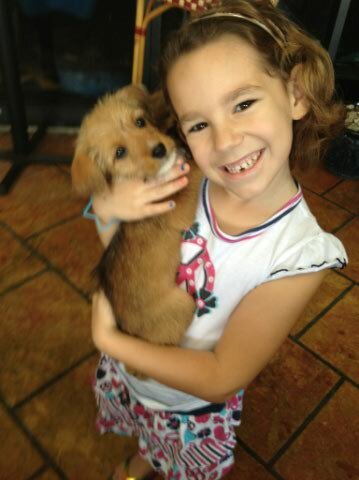 And if they do allow a dog or cat it may be more expensive because you’ll incur extra fees and or deposits. Another fact is that some condominium and housing associations will permit owners to have pets but not their renters, unfair I know, but true never the less. More and more rental units are now accommodating tenants with pets, and in my opinion that’s a good thing. Let your Realtor know that keeping your pet is going to be a deal breaker.